A well-designed hotel,PRANAMAR VILLAS AND YOGA RETREAT, has been built on Santa Teresa, a booming new travel destination in Costa Rica, attracting beach lovers and surfers to its broad, white-sand beaches with world-class surf. This beach is renowned worldwide for some of the best surfing in the entire country. Another interesting feature of this excellent hotel is it’s open-air restaurant and tea lounge. 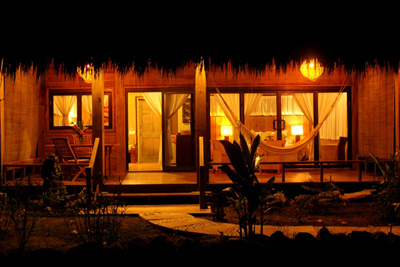 Tropical beauty and nature in an exotic and friendly ambiance will make you spellbound. Using pinewood they have built three amazing bungalows. The simplicity and unique design of these three bungalows attract people from of over the world. Guests from all walks of the society come here to enjoy the sunset and relax with the ocean breeze. All the bungalows have queen bed, AC, laptop size safe and a coffee maker. 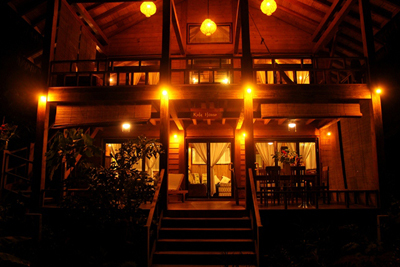 Using Costa Rican hardwoods and bamboo, they have built some luxurious villas. Want a villa that has air-conditioned bedrooms with attached bathrooms? A living room? Plenty of windows and doors? If so you can select one from their 2 two-story villas. To make the open-air bathrooms exotic they have used luxurious granite stone tubs. If you stay at one of the four poolside Villas, you will enjoy personal poolside entrance. To ensure your comfort they have built two air-conditioned bedrooms with fans and screens. But if you prefer one of two oceanfront luxury villas, you will be able to enjoy uninterrupted sunset views. 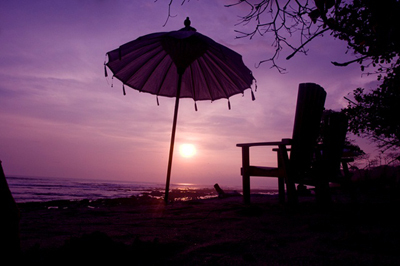 Enjoying sunset sitting in oversized verandas will give a heavenly feeling. Yoga Packages at Pranamar are designed to create mind-body alignment. Spectacular ocean-view Yoga studio with perfect environment will make your sessions unforgettably effective and enjoyable. This package includes stay at Luxurious Poolside Villa for two people for three nights or in Garden view Bungalow. While staying at Pranamar you will enjoy unlimited Yoga classes. Green juice every morning will make you refreshed.One hour massage session will give you a heavenly experience. These five days will be days that reestablish the inter connection between you and the mother earth. While staying five days at luxurious Poolside Villa or in Garden view Bungalow, you will enjoy unlimited Yoga sessions.Green juice every morning will make you refreshed. One hour massage session will give you a heavenly experience. During these seven days you will rediscover alignment with the nature. Staying five nights at luxurious Poolside Villa or in Garden view Bungalow, you will enjoy unlimited Yoga sessions during these five days.Green juice every morning will make you refreshed.One hour massage session will give you a heavenly experience.